At San Diego Dentistry Studio, we strive to give back to our local community. 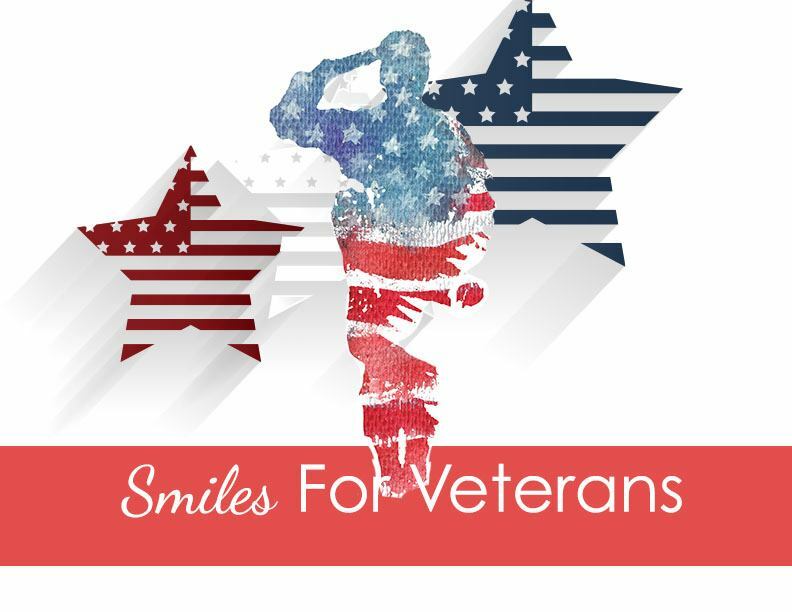 In honor of Veteran’s Day, we are proud to announce our first ever Smiles For Veterans Event. Saturday, November 18th, from 7:00 a.m. – 3:00 p.m.
We will be volunteering our time and services to provide dental procedures to Veterans at our practice. We are asking for your help to spread the word to make a Veteran smile. Please nominate any Veteran who may be in need of dental care, has served our county, and brief history of their service. We will require a Military ID or DD214 card to verify service the day of treatment. We also require for the patient to have transportation to our office. Nominations must be submitted by November 6th, 2017. You may also call us at 858-257-3412. Space is limited so help us make a Veteran Smile today! Thank you in advance for your nominations.